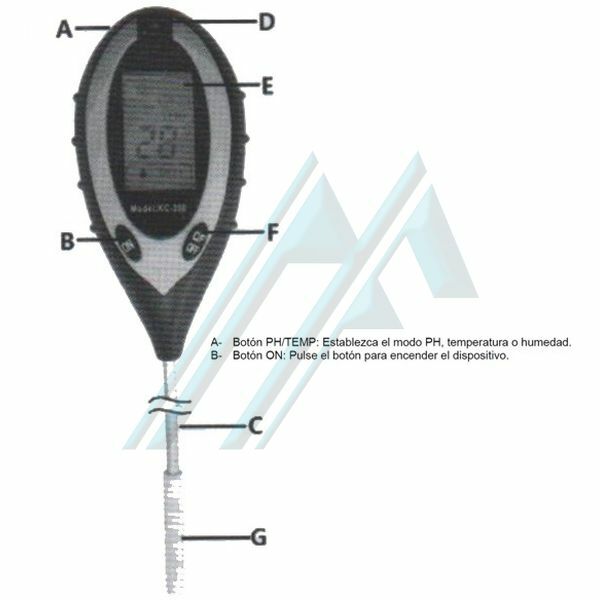 Measures moisture, pH, temperature and intensity of sunlight. 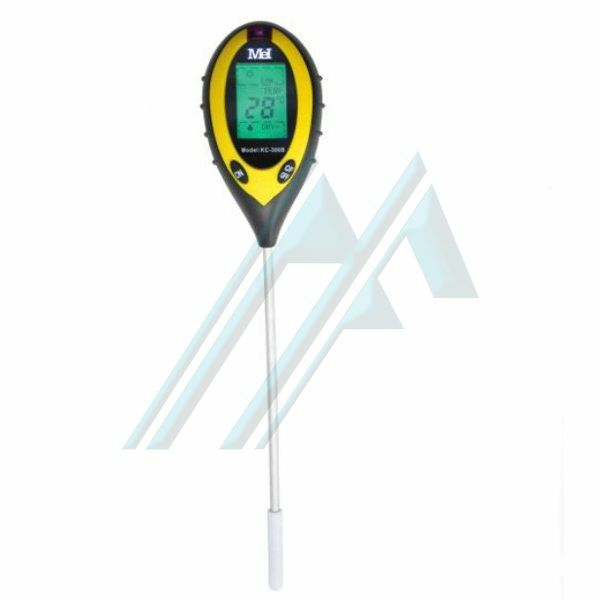 The soil analyzer KC-300 can measure the level of soil moisture, pH level, temperature and intensity of sunlight using a probe of length 200mm. 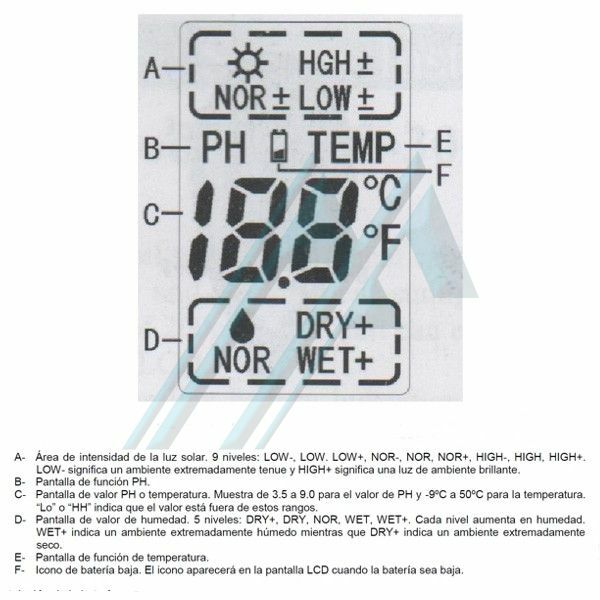 The device can display various readings on the LCD. The device also has a low battery indicator and auto off for saving energy is efficient. The KC-300 ensures the quality of the soil.